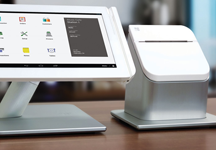 Take home 100% of your revenue with FREE credit card processing. Eliminate processing fees by rewarding cash payers. Tell your consumers they can get a discount of up to 3.95% by paying with cash. All you need to do is put a sign that says you offer a cash discount at your business and you are good to go! With our cash discount program, it’s a win-win situation for you and your customer! Keep 100% of your revenue. You keep 100% revenue by virtually eliminating your credit card costs. Customers can avoid paying even the minimal credit card fee by taking advantage of cash discounts. No change in how you accept credit cards. 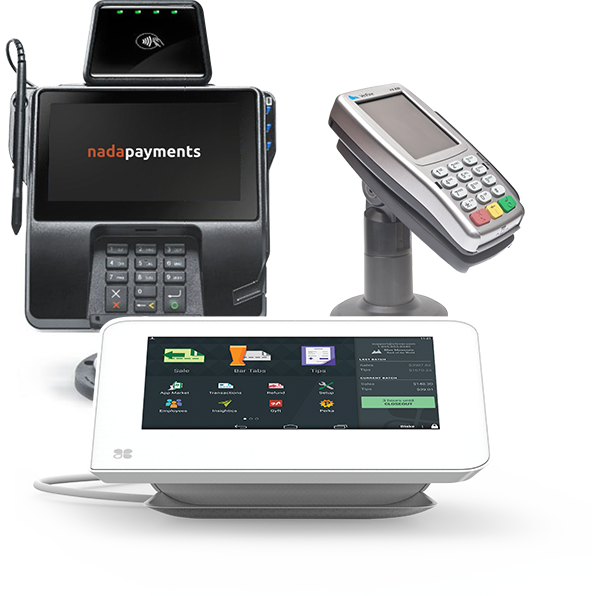 Nadapayments customized solution is designed to work with all EMV terminals. Just plug in the machine and you are good to go! Put up our Cash Discount Notice where customers can easily see it. 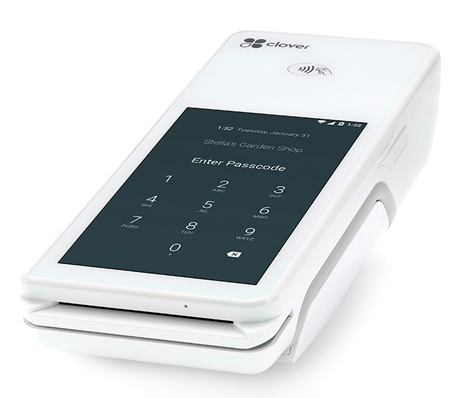 Get our application Installed on your EMV terminal. Tell your customers they can save up to 4% on every transaction if they pay by cash. Is this a new program? Not really, many businesses in the United States offer lower prices to customers who are willing to pay by cash. This practice is very common at gas and service stations all over the country. 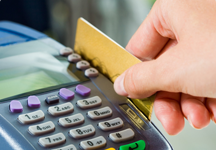 Please visit New Rules on Electronic Payments Lower Costs for Retailers for more information. Can it be seen like a surcharge? Cash discounts are different from credit card surcharges, which are currently not allowed in 10 states. Offering cash discounts is a business owner’s lawful right. It allows them to reduce the price of a product or service sold at their very own store at their own discretion. I’ve never heard of this before how does it work? 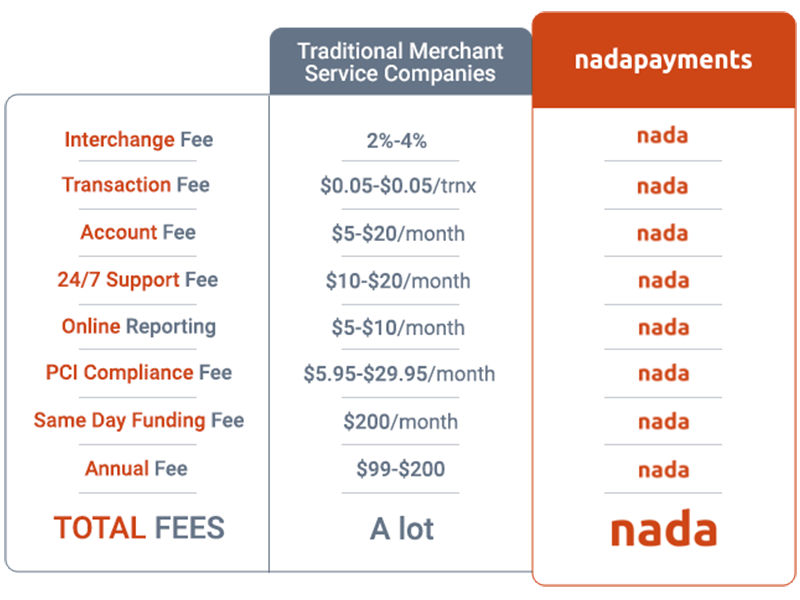 Credit card companies charge a certain fee for every transaction merchants make on an EMV terminal. 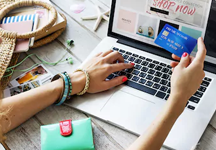 If a customer buys a $100 product on credit card, the retailer will be charged a 2-4% processing fee by credit card networks like VISA or MasterCard for processing that transaction. By posting a sign on their wall that notifies customers about cash discounts, retailers are not responsible for the processing fee. Customers cant choose to get a discount by paying cash or pay another 2-3% in order to use their credit card to make the purchase. Does this program reduce my monthly transaction processing bill to zero? Almost. A few merchants may still see small amount of fees due to variations in the interchange prices. Even after these small variations, the savings are huge and range between 95-100%. At NadaPayments, your bill will be set up according to a structure that uses daily discounts. This means that your fees will be deducted every day, and your monthly statement at the end will show a balance that is equal to almost-zero in processing costs. There will also be a small subscription fee. Can I lose business due to credit card processing? Businesses that follow this model have not reported any drop in their sales. 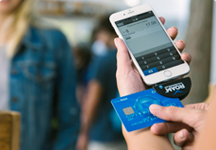 In fact, customers may choose to avoid the ATM fee, which can go up to 5%, and pay the credit card processing fee instead. If marketed properly, cash discount offer can play an important role in increasing your product sales. Will this program completely eliminate my monthly processing bill?